Andhra Pradesh, India's fifth largest state, is sprawled over an area of 275,068 sq. km. History has forged, and left behind vital links with the state, as is evident from the many edifices, monuments and architectural ruins, the legacy of dynasties as old as 300 B.C. Traces of the diverse and variegated facets of the culture of the Mauryas, Pallavas, Cholas, Satavahanas, Chalukyas and Vijayanagar, offer imposing vistas, that continue to fascinate the observer. Best time to visit :: October to March. Hyderabad, the capital of Andhra Pradesh, along with its twin city Secunderabad has over 400 years of history. Hyderabad is a heady mixture of heritage, traditionally hospitality and a thriving software revolution. Nagarjunasagar, a massive irrigation project on the River Krishna, about 150 km from Hyderabad, has a rich and iteresting past. It was a valley in the Nallamala range of the Eastern Ghats with civilizations dating back to thousands of years. Tirupati: The abode of the 'Kaliyuga' deity Lord Venkateswara, popularly known as Balaji, Tirupati has for centuries remained a destination divine and this feeling grows on one as one goes round the various temples and spots of natural beauty surrounding this major town. Vijaywada: Vijayawada is known as the political as well as publishing capital of andhra Pradesh. Vijayawada is a vital rail and road link between North and the South and is now known as 'the city that never sleeps'. Visakhapatnam: The land of the golden beaches was just over half a century ao a small fishing village. One would be amazed at the manner in which this port city with a natural harbour developed into one of the fastest growing cities in Asia. The earliest mention of the Andhras appears in the Aitareya Brahmana (800 BC). It was called Dakshina Padh during those days. Andhras, Pulindas, Sabaras, and many other sects lived in Dakshina Padh. In the Mauryan age, the Andhras were a political power in the Deccan. Megasthenes, who visited the court of Chandragupta Maurya (322-297 BC), mentioned that the Andhra country had 30 fortified towns and an army of 1,00,000 infantry, 2,000 cavalry and 1,000 elephants. The Buddhist religious books reveal that Andhras established their kingdoms on the Godavari belt at that time. Even Ashoka referred in his 13th rock edict that the Andhras were his subordinates. The flourishing Satvahana Empire, which followed the Mauryas, covered the entire Deccan plateau by the 1st century AD. From the seventh to the 10th centuries, the Chalukyas ruled the state. This was followed by the rule of the Cholas, Kakatiyas, and the powerful Vijayanagar Empire. By the 16th century AD, the Qutab Shahi dynasty established its firm foothold in and around Hyderabad. The Nizams, as the rulers of Hyderabad were called, maintained their rule, even during the advent of the French and British. Andhra Pradesh was constituted as a separate state on October 1, 1953, comprising the 11 districts of the erstwhile Madras state, and made Kurnool the capital. By November 1, 1956, the Nizam's state of Hyderabad was amalgamated to the state of Andhra Pradesh. Hindu festivals such as Dussehra, Deepavali, Sri Ram Navami, Krishna Janmashtami, Vinayaka Chavithi or Ganesh Chaturthi and Maha Shivratri are celebrated in the state. Similarly, Muslim festivals such as Bakr Id and Id-ul-Fitr and Christian festivals like Christmas, Easter and New Year's Day are also celebrated with gaiety. However, the celebrations of Ugadi (Telugu New Year's day in March-April) and Sankranti (in January) are unique in the state. Bathakamma is special to the Telengana region. In the month-long festival, Goddess Bathakamma's idol is worshipped and is made to float on the rivers and lakes. The annual tourism events include the Visaka Utsav (from the third Friday to Sunday of January), Deccan Festival (on the 25th of February, of which the Pearls and Bangles Fair is a part), Rayalseema Food and Dance Festival (in October, at Tirupati) and Lumbini Festival (from the second Friday to Sunday of December, at Nagarjunasagar and Hyderabad). Every year gracious Hyderabad comes alive during the Deccan Festival. There are cultural programmes with ghazal nights, qawalis and mushairas, typical of the city. A pearl and bangle fair displays creations in lustrous pearls and multi-hued bangles that are local specialities. A food fest serves the best of Hyderabad's famed cuisine to visitors. Organised by the Department of Tourism, Andhra Pradesh, the Deccan Festival is celebrated in Hyderabad every year in February/March. This five-day festival reflects the culture of the Deccan and highlights Hyderabad's arts, crafts, culture and the famous Nawabi cuisine. Deccan Festival.During the festival, many cultural programmes are organised; these include ghazal, qawwali and mushaira, (poetry sessions), which are typical of the city. Renowned singers and dancers are invited for performances, making the Deccan Festival a must-see for every visitor. This festival also includes Pearls and Bangles fair, displaying creations in lustrous pearls and multi-hued bangles that are local specialties, and a Food Fair, with items covering both Andhra and Hyderabadi cuisine. This festival comes alive with food stalls and arts and craft shops. The Deccan Festival brings the spirit of Hyderabad city to life. The festival essentially celebrates the Qutab Shahi epoch. The love of art and literature of the city is reflected in the Deccan Festival. The festival is organized every year by the department of tourism of Andhra Pradesh. 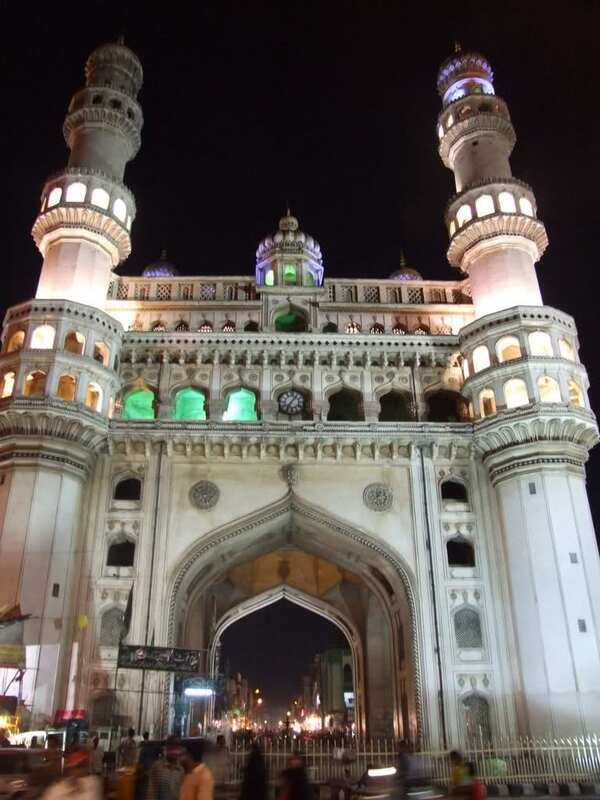 The city of Hyderabad is known for its rich cultural heritage. It is during the Deccan Festival that the city dresses itself in its true hues and colors. The festival is annually celebrated during the months of February and March. The Deccan Festival is observed for five days in the city. These five days are marked with pompous joy and delight. The festival marks the advent of several cultural programs. Talents of the city of Hyderabad is showcased in this festival. Performances of Ghazals, Mushairas and Qawwalis are a specialty of this festival. The recitation of poetry and dance performances also occur in the festival. The Deccan Festival also highlights the rich crafts of Hyderabad. The nawab special cuisine is also prepared during the festival. Another festivity that occurs in the course of the Deccan Festival, is the fair of bangles and pearls. The decorative pearls and the multi hued bangles of Hyderabad that are renowned over the world is exhibited in the Deccan Festival. The Deccan Festival celebrates the epoch of the Qutab Shahi rulers in Hyderabad who were great patrons of art and literature. The department of tourism of Andhra Pradesh organizes the Deccan Festival every year in Hyderabad to celebrate the culture and heritage of the 400 year old city.